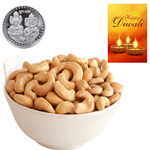 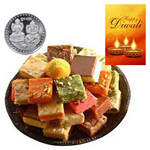 Diwali is an auspicious festival in India. 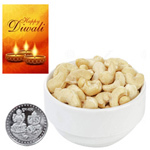 It will be celebrated on 7th November, 2018. 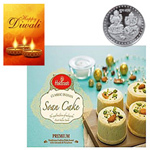 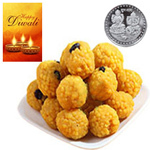 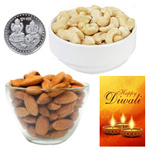 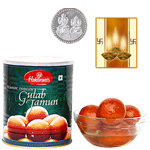 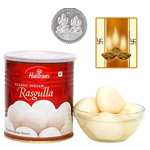 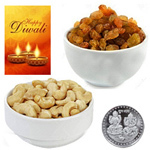 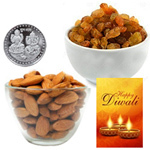 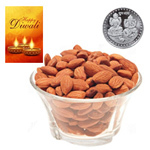 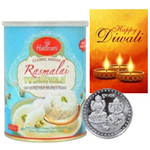 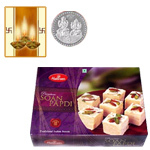 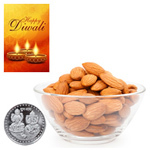 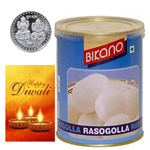 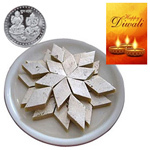 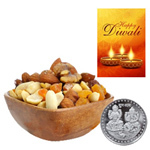 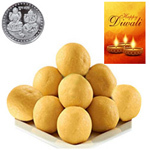 Gift your beloved Rasgulla with Silver Plated Coin, Gulab Jamun With Silver Plated Coin, Raj Bhog with Silver Plated Coin, Haldiram Soan Papdi with Silver Plated Coin, Rasgulla with Teddy Bear, Dry Fruits with Silver Plated Coin, Assorted Sweets, Crackers and Diya, Fresh Fruits and Flowers, Eggless Cake and Mixed Flowers Bouquet, Orchids Basket and Kaju Katli, Silver Plated Diwali Hamper with Dry Fruits in this Diwali and create beautiful memories to cherish.